Mead Cottage is a perfect self catering holiday let for visitors that want to enjoy the historic market town of Bridgnorth and the picturesque rolling countryside of Shropshire and the beauty of the Severn Valley. 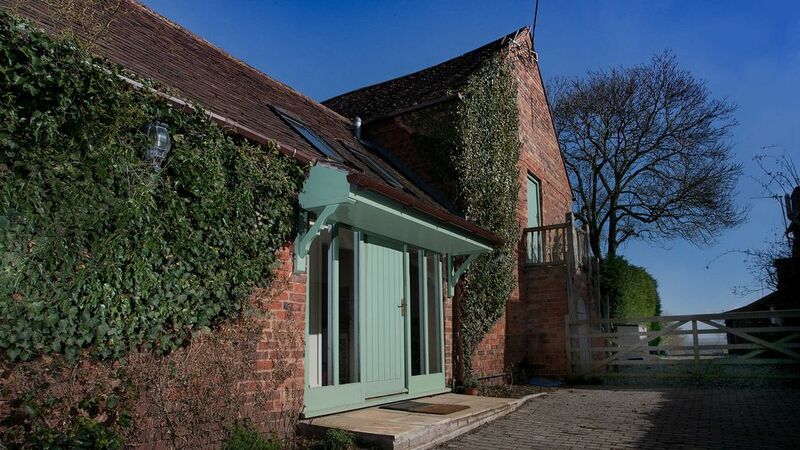 This converted 17th century barn is located in the small hamlet of Cross Lane Head, just two miles outside the centre Bridgnorth and is conveniently placed for exploring the beautiful Severn Valley and surrounding Shropshire hills. Mead Cottage Bridgnorth is perfect for small families, business travellers, keen fishermen/women, golfers, walkers and lovers of history. We are located 1.5 miles from Bridgnorth, lots of pubs and restaurants. Himalaya excellent India but several other to choose from, Thai Arts in town. Legends Chinese does a buffet 5 nights a week but it is all cooked freshly to order, excellent value and very good food. For a Special night out King & Thai 3 miles down the road, fabulous food but quite expensive. The Kings Heads restaurant is really good, lots of good fresh fish as they also have a small fish restaurant which sells fresh fish. Stable Bar very busy but great atmosphere. Bewdley Safari Park is well worth a visit, Cosford Air Museum is free entrance £3 to park. Go Ape in the wyre Forest and also a play area for younger ones. Dudley Zoo is about half an hours drive away. Several golf courses near by, Worfield, Asprey, Bridgnorth Golf Club. Apley Farm Shop has lots of things for younger children to see, Milly Meerkats play barn for wet days. Blist Hill is a lovely day out and also the Black Country Museum is very interesting. Bridgnorth swimming pool fun time for children in the holidays from 14.00 to 15.00. We have a very small cinema in Bridgnorth but Telford has 2 large ones showing a very good variety of films. Ice skating and ten pin bowling in Telford for rainy days.